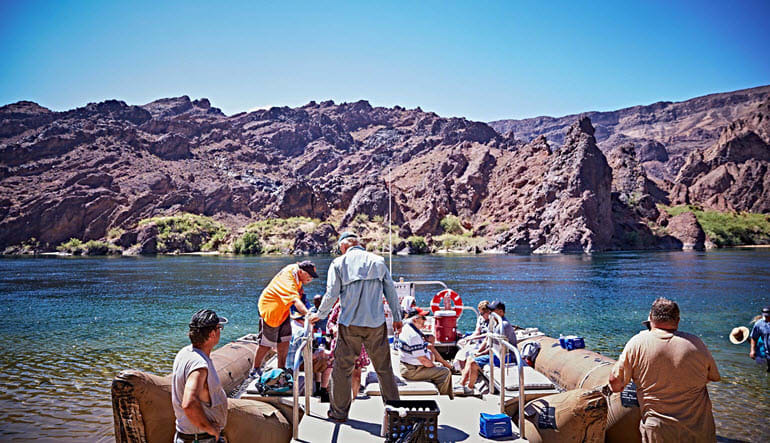 Travel down the Black Canyon National Water Trail in a motorized raft where you’ll have golden opportunities to snap photos of the Dam, the Black Canyon, the Mike O'Callaghan-Pat Tillman Memorial Bridge and much, much more. This rafting tour features exclusive sights that you just won’t get anywhere else! See Boulder City’s original water line. Dynamite storage bunkers from the dam’s construction still stand - see them too! Next, hop aboard your motorized raft. Travel the for 3 hours (12 miles) and revel in the scenery. Get up close to the Hoover Dam, the power plant and Black Canyon! 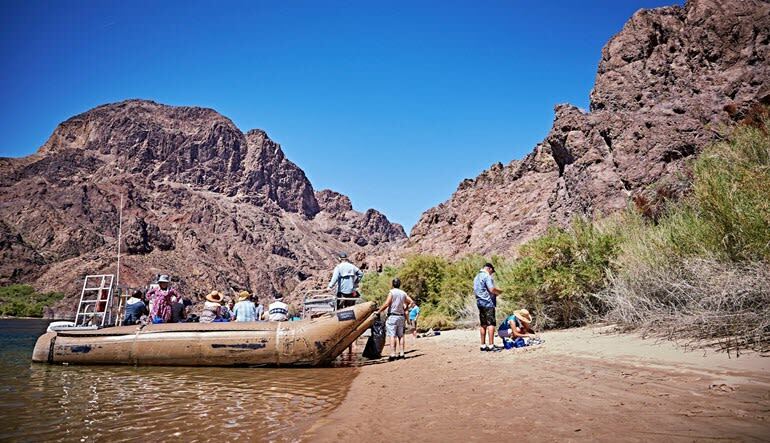 Refreshing stop along the way at a side beach – swim in the Colorado River! There’s a lot to learn on this rafting tour. The jaunt features a guide well-versed with these waters. 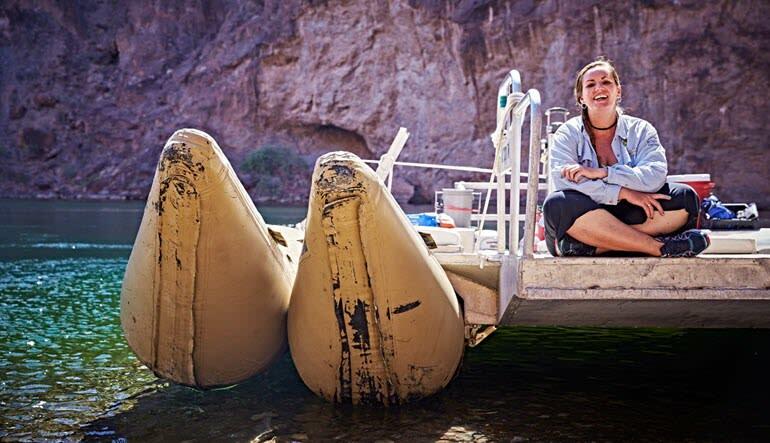 You’ll step away from this journey inspired the natural landscape and even a bit of Colorado River folklore! My daughter and I enjoyed the trip on the river. Our guide Kathleen was very knowledgeable and stopped many times to give us the opportunity to take photos. We were very lucky to see Big Horn sheeps. Kathleen Wood was really knowledgeable, attentive and a great tour guide. I have recommended this tour to everyone I know. I will do it again.